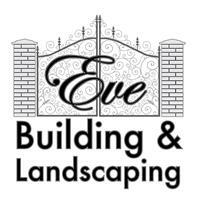 Eve Building and Landscaping - Builder, Driveways/Patios/Paths based in Gillingham, Kent. Eve Building and Landscaping is a family run business with over 50 years experience in the industry. We offer free and friendly advice, and free no obligation quotes. Our reputation is important to us, and so we make customer satisfaction is our top priority. All our work is done to a very high standard to ensure quality workmanship. The work is surveyed and carried out by the same person. We don’t use salesmen, meaning you get someone that knows how to answer all your questions, without them or you having to call anyone else. One point of contact makes it easier for you to get the information you want. All our staff are skilled and fully qualified. We cover all aspects of building and landscaping. Over 50 years experience in the industry. We offer a price match on like-for-like quotes. All work done to high standard of quality. We are fully insured (up to £2 million public liability).